Hello ladies, as my friend Light said “An opportunity of a lifetime. Come take a look!”. 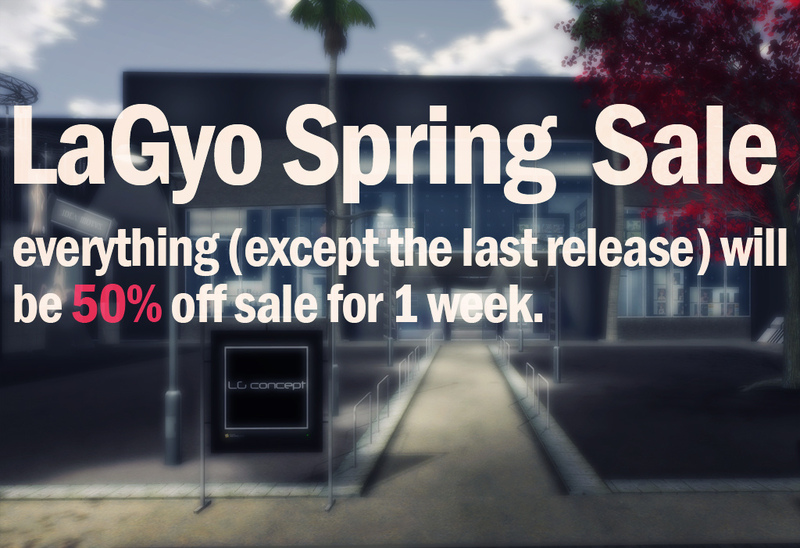 I’m having a 50% off sale of everything at LaGyo (included LAGyo Mademoiselle), except the last released stuff!! We’re about to make new and awesome releases, so I thought it was time to make a sale!! Not much more to say, just hurry up, cause it’s only 1 week! « LG Concept new releases coming soon!